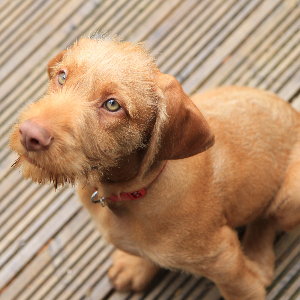 The Wirehaired Vizsla is considered to be a separate breed to the Vizsla. Energetic, alert, intelligent, and active dogs who may be exuberant. Good swimming or jogging companion. 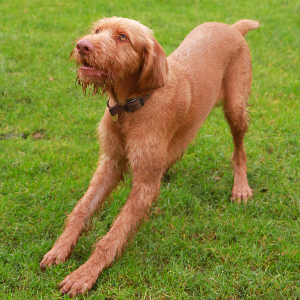 Like dog sports such as retrieving, flyball, Frisbee, hunt and field trials, agility, tracking, and obedience events. May be shy around strangers. May chase or hunt wildlife or bark. 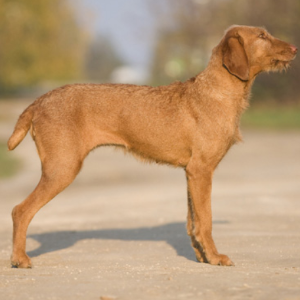 The Wirehaired Vizsla is originally from Hungary. 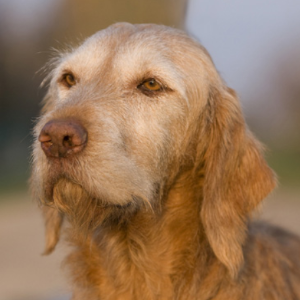 They were part of a breeding program in the 1930s designed to give the Vizsla a thicker coat to hunt in rough terrain and climates. 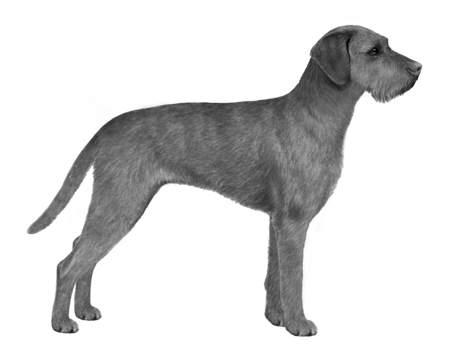 Success eventually came by crossing the Vizsla with the German Wirehaired Pointer, although several other breeds were thought to have been involved too. 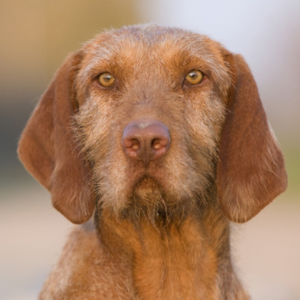 Because of the different ancestry mix, the Wirehaired Vizsla is considered to be a separate breed to the Vizsla and not a version of it. These loveable dogs were introduced to the United States in about 1970 and are currently an American Kennel Club Foundation Stock Service breed. Now that their coat is complete, here’s hoping their numbers bolster up in the future too.